Simply Morzine is proud to introduce our sister company, which successfully operates in the pretty and unspoilt fishing village of Salema, Portugal. Maintaining the ‘Simply’ brand of quality for which Simply Morzine is renowned, Simply Salema offers magnificent luxury self-catered villa holidays all year round. Expect the same trademark level of quality, personal service and attention to detail as Simply Morzine. Akin to our hotel, chalets and apartments in Morzine, the Simply Salema accommodation portfolio is of the highest standards. Many guests looking for an alternative holiday to our alpine offerings visit our properties in Salema. Likewise, Simply Salema guests often join us in Morzine. Simply Salema is set apart because we know there are very few villas where guests can enjoy drifting off to the gentle sound of waves lapping on the shore and awake to the sun rise over the Atlantic. Our luxury villas offer exactly this – with truly spectacular panoramic beach, ocean, coastal and village views. 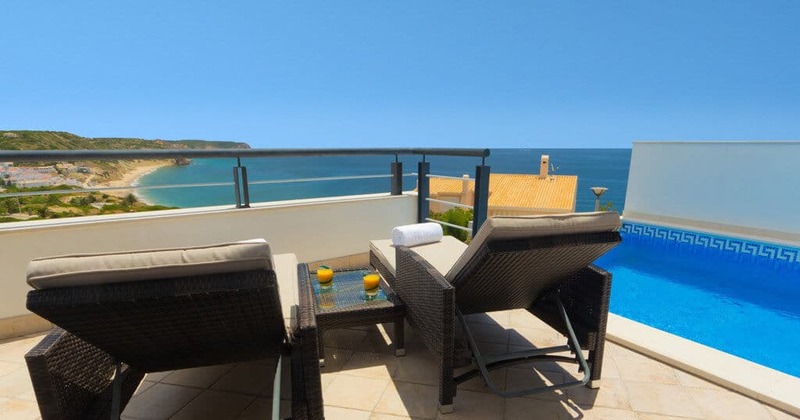 Each property boasts a swimming pool and air conditioning as standard. Portugal’s ‘secret seaside’ – Salema – is a traditional whitewashed fishing village, which we firmly believe is the jewel in the beautiful, historic western Algarve. With a wide sandy beach, crystal-clear waters, friendly locals and excellent restaurants, it’s difficult not to fall in love with Salema. There are even genuine dinosaur footprints on the rocks! Situated within the protected Costa Vincentina Natural Park between Lagos and Sagres, Salema is a blissful spot to relax and reenergise under the warm Algarve sunshine. Our privately owned Casa das Estevas is a splendid 5/6 bedroom BEACHFRONT villa. This large property boasts a huge games room with bar, swimming pool with separate children’s area, outdoor jacuzzi, direct beach access and majestic roof terrace. 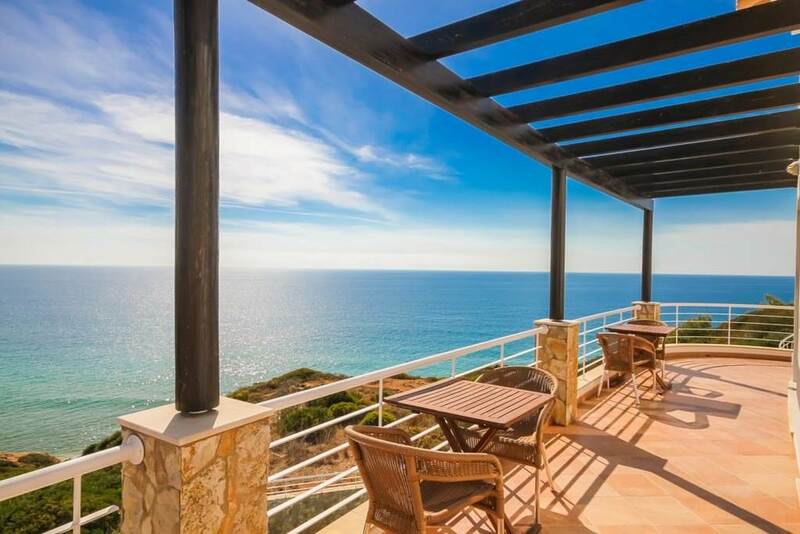 Live the dream at the ‘as good as it gets’ oceanfront Casa Vista Paraiso. This 4 bed villa with infinity pool and gym possess the wow factor. It is a glorious bespoke ocean villa, ideal for discerning guests seeking a truly exceptional holiday. The delightful Casa da Lana is a contemporary 3 bedroom linked ocean villa. Ideal for family, friends or couples, this stunning holiday home offers style, comfort and luxury in a stunning setting. The splendid Casa Kissa is a cleverly designed and well-appointed 3-bedroom linked villa with stunning panoramic ocean, beach and village views. Ideal for family, friends or couples, the property is superbly located in a quiet residential area, just a short stroll from the charming village centre of Salema.